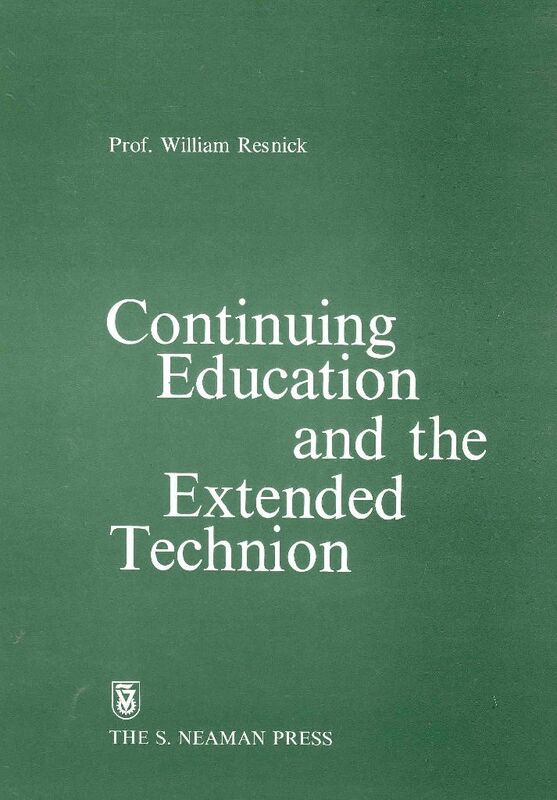 "To produce a comprehensive report on Continuing Education and a concrete and detailed proposal for an administrative framework for Continuing Education at the Technion. This document would serve the Neaman Institute in the establishment of a mechanism for organizing continuing education and as a guideline for what courses to give, in what framework , with what frequency, lecture and administrative needs, etc." The author of this report has interpreted these terms of reference in a rather liberal manner. In addition to reporting on Continuing Education, he has put this within the framework of the role of the university, its mission and its purposes. Thus, a broad construction of the term "continuing education" is used. It is interpreted as including all areas of education, other than for the undergraduate and graduate degrees, which are, properly, part of the public service mission of the Technion. The report is written in a rather discursive manner but an attempt is made to tie the various topics together at least by virtue of the order in which they are presented. Because of the fact that "This document would serve the Neaman Institute ... " the report considers the manner in which the Neaman Institute can function in this area as part of its goals while, at the same time, assisting the Technion in furthering its goals. Some specific and concrete proposals and recommendations are made. The Technion will be abdicating its responsibilities to its graduates, to the professions to which it supplies practitioners, and to the country if it does not move forward in the most positive, realistic and serious manner in all matters related to Continuing Education. The Technion is a university, it must act like a university and it must be perceived to be a university. Its presence must be felt in the entire community - it must become "visible" not only within its immediate community but also in the entire country.